It's no surprise that Malta is a leading destination for learners of English. With 300 days of sunshine per year, a crystal-clear blue sea, temples that predate the Egyptian pyramids and a vibrant nightlife, Malta might be small in size but has plenty to offer students or tourists of all ages. Some of our staff started working in the English language school industry in Malta as far back as 1991! We have worked as teachers, as host families and as excursion group leaders so it's fair to say, we know this business inside and out! There are so many schools, it can be hard choosing the school that is right for you. While we work with many schools on the island, we don't recommend the same school for everyone. The right school for you depends on your age, nationality, budget, level of interest and the time of year that you will be taking your course. Do I need to pay a booking fee? Our mission is to get you the best deal and the best school available for you. As your agent, we will not charge you any additional fees. In fact, by booking through us, you will be offered a free tour with every course of 2 more weeks. Do note however that the majority of schools charge a Booking Fee and Textbook Fee. Can you help me with the visa documentation? To get the paperwork for your student visa, you need to be able to show evidence of having a course and accommodation booked. If you would need visa assistance, a non-refundable deposit of 150 Euros is required. The deposit will be deducted from the overall cost of your booking. Learn English in the comfort of your teacher's home at the The Schoolhouse! Situated one minute away from the sea, The Schoolhouse offers students a unique opportunity to learn English in a natural environment by living and learning English in their teacher's home. Daily English lessons are held in the home and students can practise their English beyond the classroom both with their teacher and the teacher's family. Sprachcaffe Languages Plus is situated in Pembroke, a 10-minute walk from the picturesque town of St. Julian’s. The school complex offers students everything they need: a cafeteria, accommodation, air-conditioned classrooms, a library and study room, a swimming pool and a beach-volley field. Sprachcaffe Malta school gives the students a relaxed environment to study as well as the possibility to reach the beach and the city quite easily. The Executive Homestay in Malta (EHM) programme is specifically designed for clients who do not have the time to have regular English lessons every week. Instead, this programme offers you the option to come to Malta for 1 or 2 weeks, live in a luxury seaside apartment with your tutor and completely immerse yourself in the English language. In this way, you will rapidly improve your level of English. IELS (Institute of English Language Studies) is a leading provider of English Language courses and related tourism services. It was founded in 1985 when only 2 other schools were in operation in Malta and is one of the founding members of FELTOM (Federation of English Language Teaching Organizations of Malta). 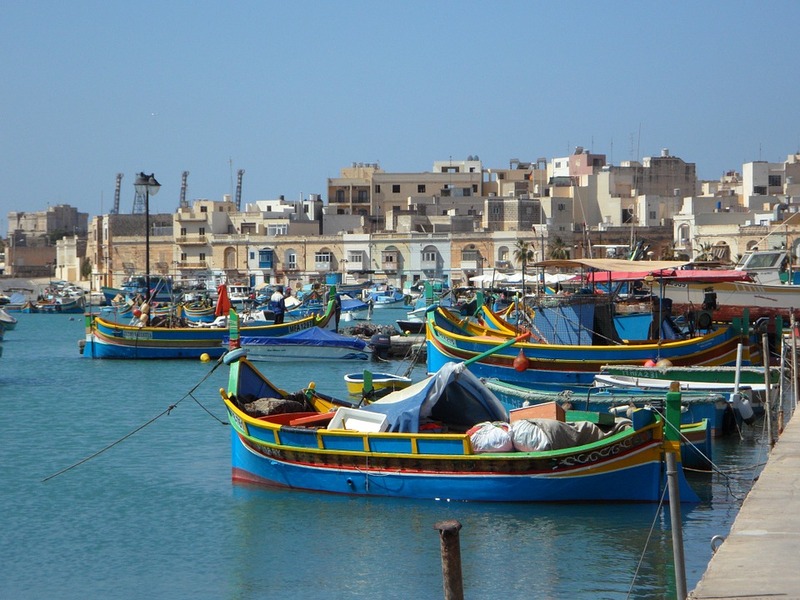 A sleepy village, Marsaxlokk is a traditional fishing village most visited for it's large Sunday market. 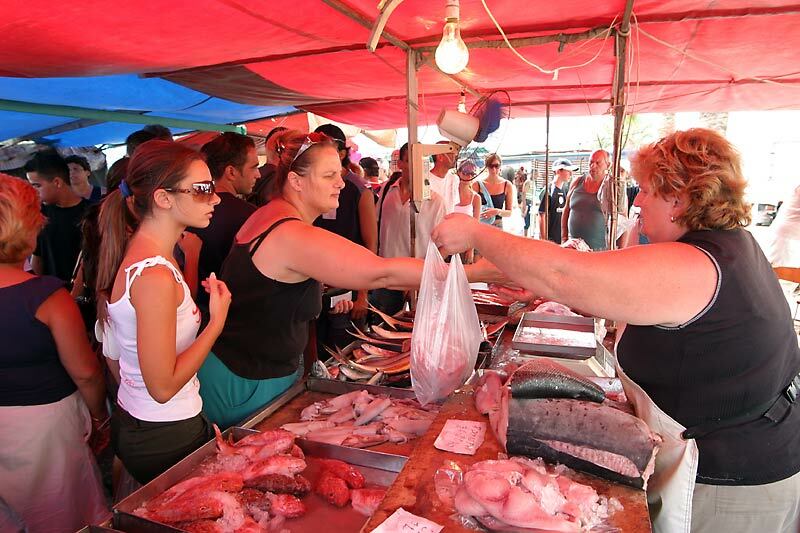 Tourists and locals descend on Marsaxlokk to buy everything from fish and capers to souvenirs, clothes and traditional Maltese cakes. Malta’s first English language school, NSTS, opened its doors to the public over 50 years ago. There are now 40 officially accredited English Language Schools situated all over the island. English students head to Malta to learn English from all over the globe. The greatest numbers of English students come to Malta from Italy, Russia, Germany, France and Spain with the largest numbers of students visiting the island in July. From November to February, are the quietest months at the English schools and students who are looking for a good deal are well advised to travel to Malta at this time. English language schools in Malta are accredited by two local official bodies. The first is the government run EFL Monitoring Board sets the standard and regulations which English schools must adhere to. It is a curious but interesting fact that English Language Teachers in Malta are required by law to follow a Teacher Training Course in addition to proving that they are proficient in all aspects of the English language. Strangely, these basic English teaching qualifications are not compulsory in the eyes of the law in other countries such as England, Scotland, Ireland and Wales. FELTOM, is a private local body that offers an accreditation scheme to the English language schools in Malta. 10 St. Pius V Street.